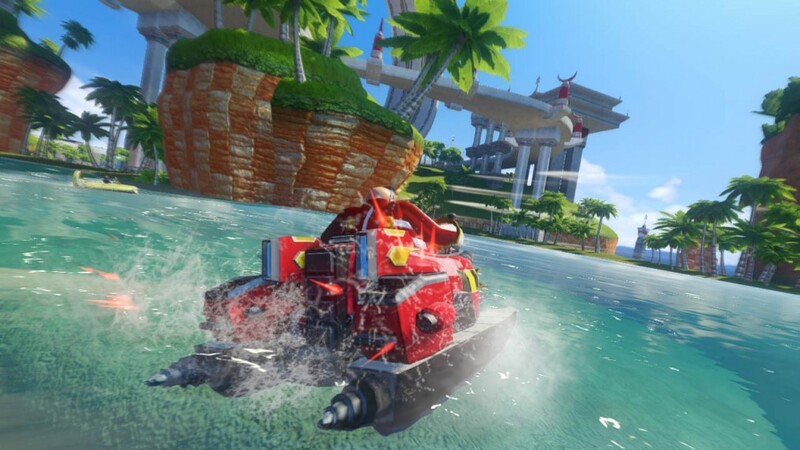 In addition to this morning’s trailer reveal, IGN has also released a new preview of Sonic & All-Stars Racing Transformed‘s Wii U variant. Revealed during Krupa’s play-through was a revamped Seaside Hill. A screenshot is below. We have since learned Seaside Hill will count toward the 16 main tracks and not the four “Retro” themed stages Sumo has planned for the finished product. It appears this week will be a big one for ASR Transformed developments. We’ll be here to bring it all to you. Thanks to all who sent this in via E-mail news tips and Twitter.